Lift your complexion, sculpt and define your facial framework, and get glowing, youthful skin in just five minutes with this collagen-boosting facial workout. It’s a cheaper, more subtle alternative to the dreaded needle! I was like the very many who couldn't wait to get this product after Wayne Goss continued to rave about it. (And I LOVE Wayne!) I was really, really hoping that I would be so blown away by the cream that I could justify the expense. And it is expensive. It is very nice. It doesn't take a lot and spreads well. It is a nice moisturize for my dry/combination skin and works well under makeup. But I have to say that I have used much less expensive moisturizers and had the same outcome. If it was a $50 cream, I would have given it 5 stars enthusiastically. But I can't justify the price for a "do-over" on this. This is my holy grail. I ordered this from the UK last year when her line launched, and my skin glowed, my rosacea calmed down, and my fine lines were essentially gone. When I ran out, I tried other products for an entire year trying to replicate the same results. Nothing came remotely close, cheap brands nor expensive brands. I have no idea what's in this stuff but it is INCREDIBLE. I will use this for the rest of my life. It's the only moisturizer that works for my very sensitive redhead skin. Love the results, but the scent is strong. I bought this last year from the UK, and took some out of the big jar to try on my own skin for reference. It did an amazing job of moisturizing and plumping up the skin, but I was surprised by how obviously fragrant it was. I adore the scent and didn't have any kind of reaction, but I've had clients ask me not to use it on them due to the strong smell. It's a shame, because it's a lovely face cream and really does work well with makeup. Wow, I was extremely skeptical about this cream, but after using it for 3 weeks, I have to say, now I understand why so many makeup artists love it. 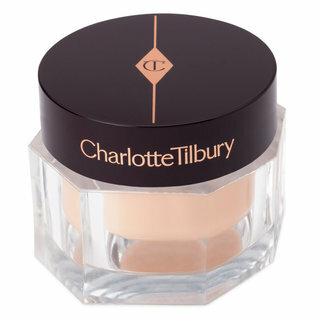 Its a great base for your make up. I rarely use foundation, instead I use loose powder all over my face because I have pretty clear skin. My skin is super oily, and this cream doesn't make it more so. I use benzoyl peroxide face wash and cream, so this balances it out nicely. Certain times of the month my skin will become dry, and this helps me out during those times to make sure it stays soft and supple. You don't need to use too much of this cream, I use very little actually, so it should last A LONG time. I know people are not too happy about the price point, but at the same time, I don't see too many people balking about Tom Ford's Intensive Infusion Moisturizer that contains the same amount and retails for $230. It has a slight scent, and my skin is very sensitive. All my face and eye creams have no fragrance. This cream's slight fragrance didn't bother me in the least. I truly love this cream. This is a terrific pre-makeup moisturizer and a very little goes a long way. Even with daily use, a jar should last a very, very long time. I find that it is incredibly emollient, and at the same time, dries down to a really lovely finish very quickly and makes the perfect canvas for applying foundation, or just keeping your skin looking dewy without makeup. Yes, there is a bit of a scent, but I don't find it strong and I don't find that it lingers (and I am sensitive to scent in products). I'm going to be in the minority on here, but I find this to be pretty much a "MEH" cream. 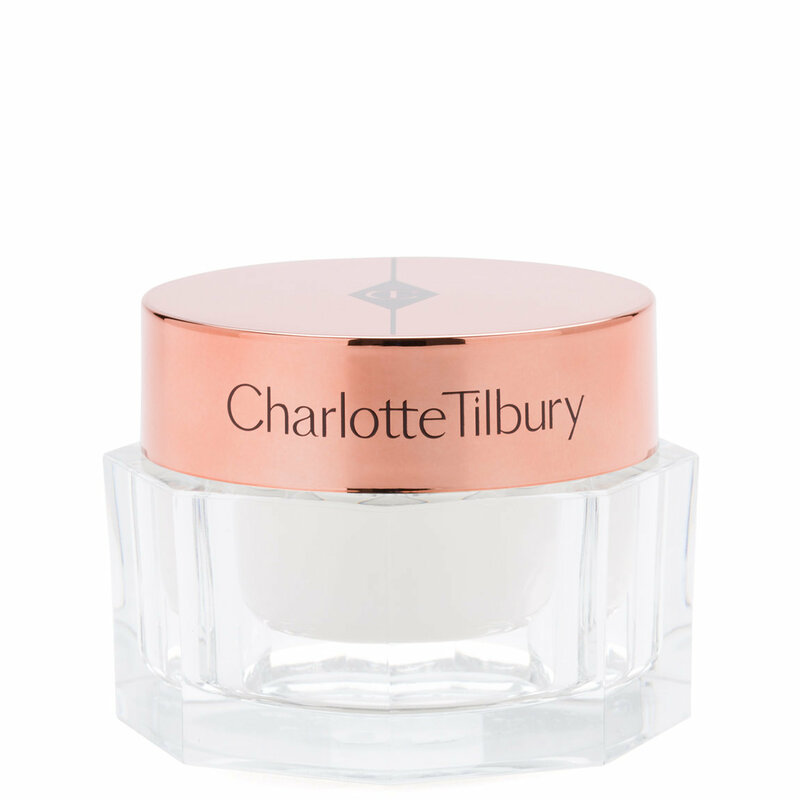 Some background on my experience with it...I was living in the UK for two years and was there in September 2013 when Charlotte launched her iconic line exclusively in Selfridges in Central London. 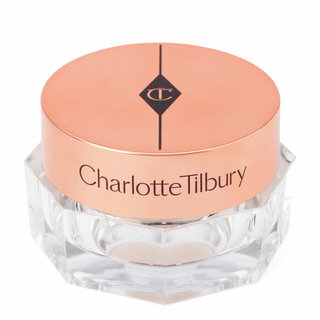 I was one of the first people at counter in the first week, and bought over £200 worth of Charlotte's lovely products. (So basically I've had almost two years worth of experience with this product.) Of all her products, this one was by far the one I was most excited about, as it had been talked about in the UK beauty mags and beauty blogs for weeks there in the summer of 2013, before it's release. My skin is normal/combo dehydrated. I love rich creams, and can handle them quite well. I was loving this product for the first 3 months or so, and it seemed to hydrate quite well. But basic hydration was all it seemed to do. I never found it to be much of a multitasker powerhouse in any other respect, and this product has a LOT of claims! I also found it to be a bit too emollient under my makeup, and my finish was always a lot shinier during the day when I wore it under makeup, whether it was a light tint or mineral powder or fuller coverage foundation. Also, the actives in it are too far down on the ingredient list to make any sort of real difference in the skin and even if they could, the fact that it's not an airtight container but in a jar, they then run the risk of getting disintegrated and inactive by air and cross contamination. Don't get me wrong, this is a lovely, basic cream, but it's just that...a basic cream. 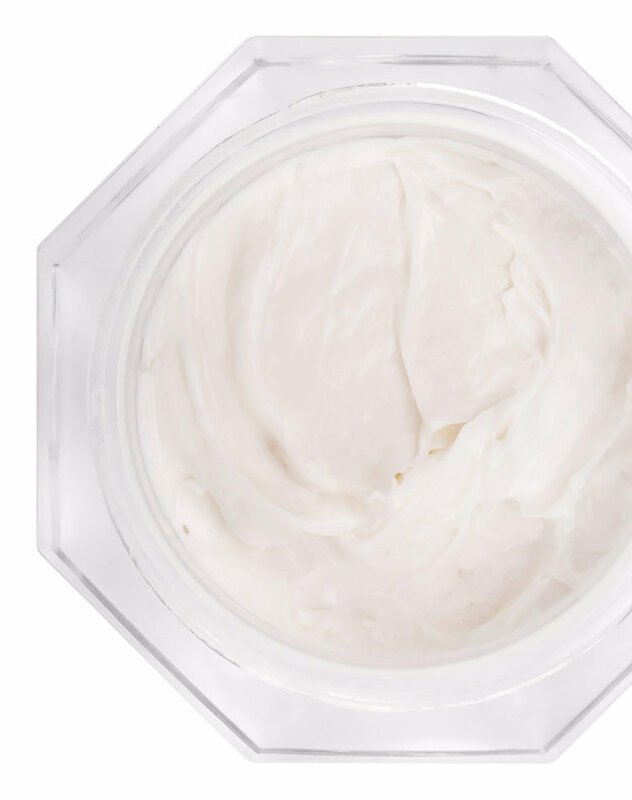 There are some wonderful moisturizers and creams at the drugstore and at dept stores that can do all this cream claims to do and more, for a fraction of the cost. 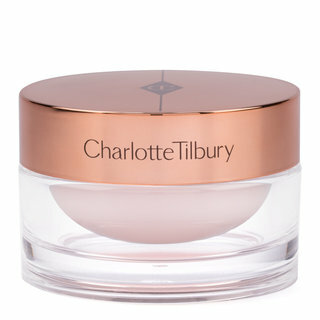 As for me, I personally enjoyed Charlotte's multitasking balm/mask/cleanser MUCH more. I found that product to be a great facial cleanser, but an even more impressive and exceptional sleep mask which made my skin butter soft in the AM. Personally I wouldn't use it as a facial cleanser but only as a sleep mask, because the size of that jar and the price you pay makes it absolutely worth it compared to other sleep masks. But as for this, I'd pass, even if you are into luxury. For the price, it should do more. 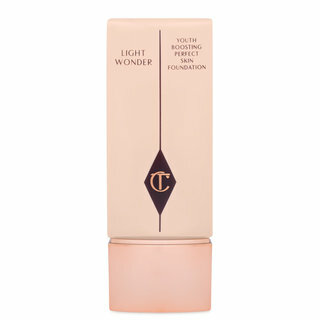 This product does what it promises and produced a hydrated and smooth surface for Charlotte Tilbury’s (CT) Light Wonder foundation. 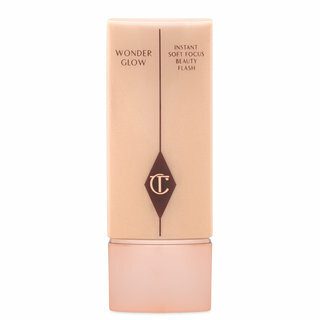 I’ve also used it under another foundation brand and it worked equally well. 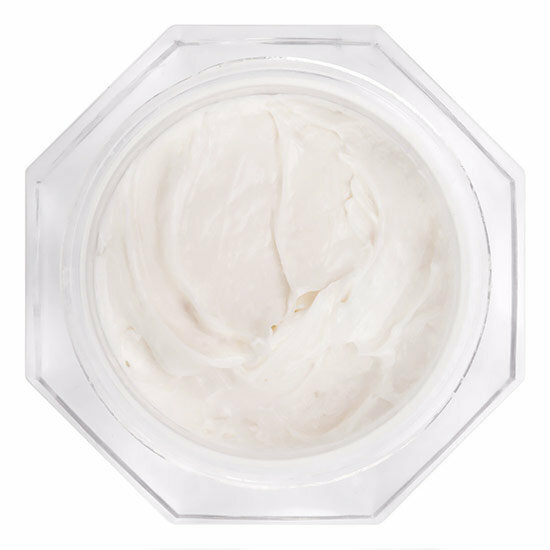 Magic Cream is the perfect combination of nourishing moisturizer and primer. Using it along with Charlotte’s Light Wonder foundation, Airbrush powder, Retoucher and Cheek to Chic blush created a beautiful complexion. I’m thoroughly delighted with all the CT products from Beautylish. This cream not only rejuvenates the skin, but leaves a divine delicious dewiness, which enhances and radiates your face to appear fresh and luminous. Absolutely obsessed with this product, it does not break me out, clog pores or irritate my skin. It may appear to be quite thick in the jar but once warmed up as you moisturise it just melts, ugh, heaven! This is a wonderful night time moisturizer. I have combination skin, so I can't use it as a primer under foundation. It moisturizes my face at night without making it feel too greasy or oily the next morning. I really like it! I was really excited to try this famous face cream after all the buzz about it in fashion magazines. I have been using it now once or twice a day for a month, and while I do not notice any drastic optimal changes to my skin, my skin stays very well hydrated without feeling heavy or oily in my T zone (I have combination skin). It absorbs really quickly and the texture of the cream is amazing. Nice jar too, almost like something out of the '80s but not in a cheesy way. I give it 4 stars- because there are skin creams out there that can visibly improve your skin (though those are more expensive I guess...) I'll definitely finish my jar but may likely move onto a different product.